Towards the end of a period of ten years when Owen Clarke Design had been designing the hydraulic rams and canting keels on our own racing and cruising yachts yachts we udertook the design of the hydraulic lifting keel of the 100' Bill Dixon designed superyacht Liara. 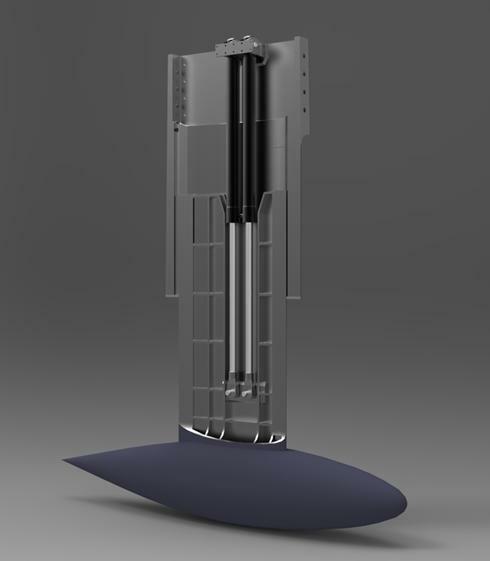 Finite element analysis was used to verify the design concept which has a fabricated steel fin and bulb moving within a hybrid, forged/fabricated keel stub. This allowed for a maximum sailing draft while minimising the impact on the interior. OCD were responsible for liasing with yacht's composite engineers SP/Gurit and the certification society as well as working with designers and yard to complete this complex engineering challenge on time and within budget. This project won the design and technology award at the inaugural Showboats Design Awards in Palm Beach in 2009.